Stocking stuffers are my favorite way to give gifts to our boys! I know I have many fond memories growing up as a child of Christmas morning and running to see what was in my stocking. One of my favorite Christmas memories was receiving a printout of the safety features of a car in my stocking. I asked my parents if it was there by accident because it was a car that we didn’t have at the time. Turns out that they had gotten this car for me to take back to college. I was sooooo excited. Mind you it was the ugliest car ever, but it was all mine, and I couldn’t have been happier. There are so many creative ways to give gifts in a smaller way. Our boys love to open their stockings first every Christmas morning. Santa props them up next to the fireplace since a couple of times they have pulled the hooks off of the mantle from their weight. We have put together a gift guide for your teens’ stockings. We have asked our teens for these ideas, so here you go! *This post may contain affiliate links. This means, at no additional cost to you, we will earn a small commission if you click the link and make a purchase. Echo Spot -This is a brand new! Doesn’t ship until December 19th. Now the new Echo Spot will “show” you things. It’s face now is a screen and you can watch videos, see your calendar and link to your camera feed to watch your sleeping baby. Amazing! Anker Power Core –One of the most powerful ‘mini’ chargers on the market. It will add over one charge (6 hours talk time) to an iPhone 6, almost one charge to a Galaxy S6 or around one charge to most other phones. These are great to throw in a backpack or purse. Wood Phone Cell Dock Stand –Works for iPhone 8, iPhone X, iPhone 7 7Plus, iPhone 6/6s/6 Plus, Samsung S7 S7Edge, Huawei P10 and others. This Beeiee iPhone dock offers special cutout to feed the power/sync cord. sync charging your phone and organizes cable. Cell phone holder provides stable holding both vertically and horizontally and comfortable viewing for reading text and make FaceTime calls. It will amplify the sound as well. Swedish Fish –‘Nuff said. Really any candy works! Duct Tape –The uses for duck tape are endless, both for crafts and fixing things. My boys have many rolls of tape, and they have used it for so many things! Sun Bum Chapstick –Always a good choice! Contains soothing Cocoa Butter. Gluten Free/100% Vegan. Petrochemical-Free. Crazy Socks –Moisture wicking, ventilation, smell free, soft touch and durability. Perfect gifts for a stocking! Fits socks size 8-14; men shoes size 8-13 / women shoes size 7-13. 80% Cotton, 15% Nylon, 5% Spandex, soft and comfortable. Fitbit Alta Bands –Track your activity levels, sleep patterns, and more with the black Fitbit Alta Activity Tracker in size small. This sleek band uses an array of sensors to keep track of how many steps you take, how far you walk, how many floors you climb, the number of calories you burn, and the time you spend active. Alta is sweat, rain, splash proof. A Dogs Purpose –Everyone love a great dog movie. 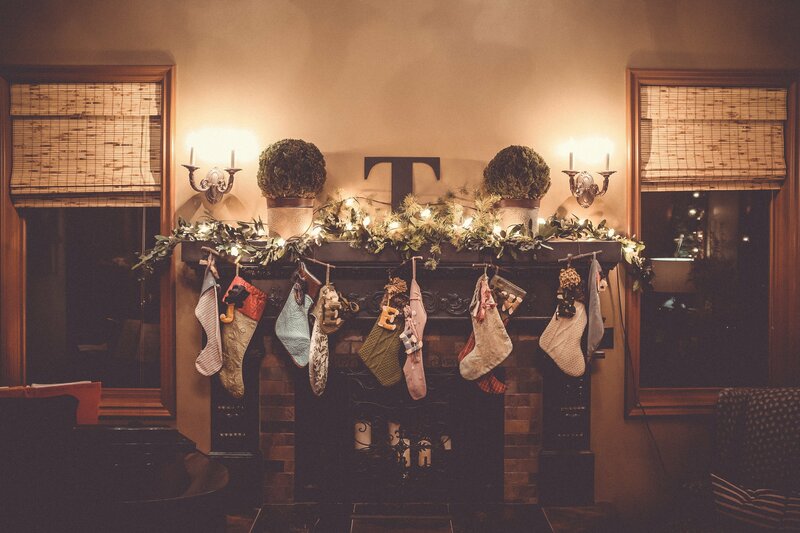 But, seriously, any movie is a great idea for a stocking. My boys always like a couple of movies for their stockings. Aromatherapy Oil Diffuser– Really great for any room! It is smoke-free and does not use heat, but ultrasound vibrations. Don’t forget that cash and gift cards are also great small gifts that are always loved by any teenager! Also, check out our other holiday posts: 49 Holiday Movies to Watch with Your Teen, Budget Friendly Ideas for the Holidays, Gift Guide for Your Teen Girl, and Gift Guide for Your Teen Guy.